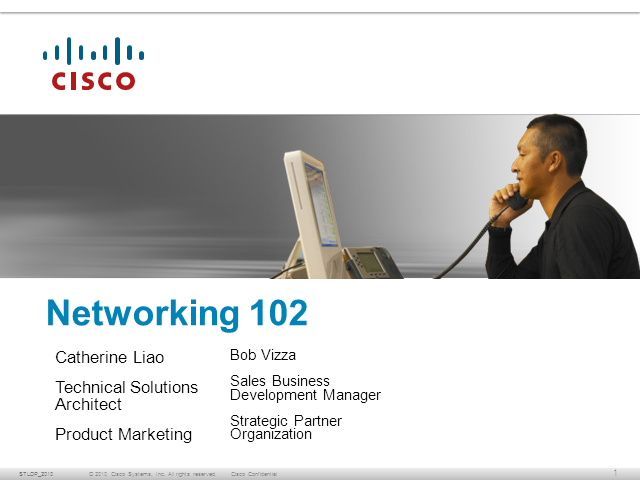 Join Catherine Liao, Cisco Technical Solutions Architect, who will pick up where Networking 101 left off. She will cover the following topics at a high level. This is not a technical presentation, but a definition level presentation where you will learn the meaning of the following terms and how they interrelate in a networking environment. The topics include networking models, how networks are created and interconnected, hubs and switches versus routers, unicast, multicast, broadcast, basic connectivity, virtual LAN’s (VLANs), quality of service (QOS), access control lists (ACL’s), IPv6, and finally hierarchical network design. This webcast will be available on-demand shortly after the live event has been completed.